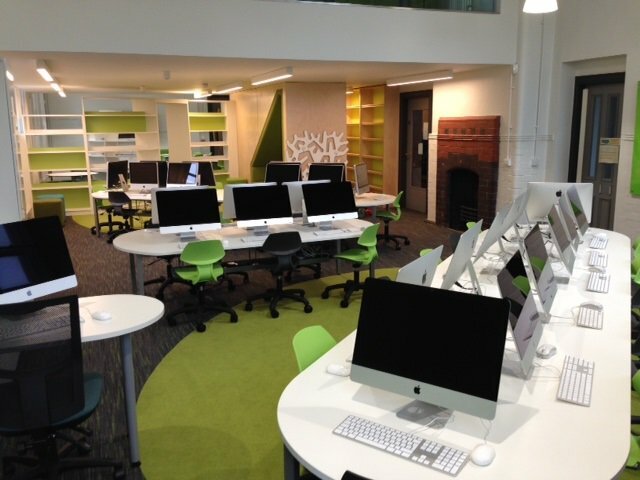 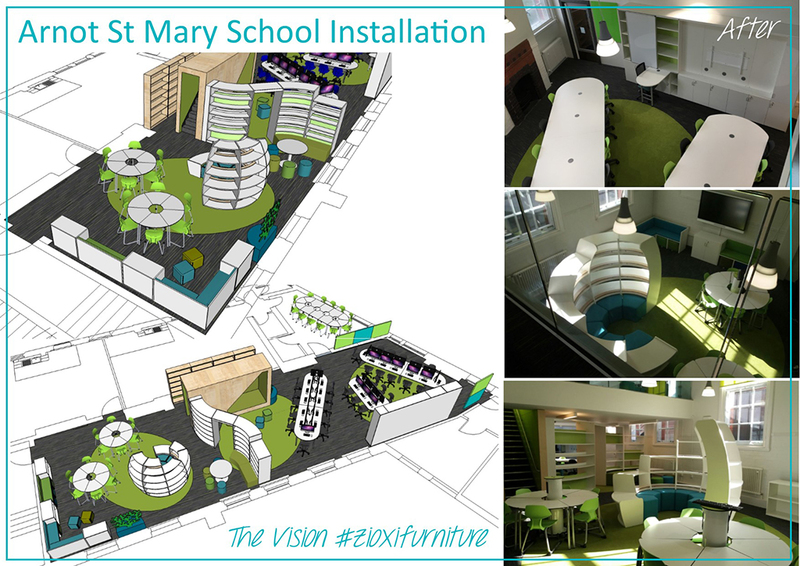 zioxi worked with Arnot St Mary Primary School to create a large open plan Discovery Hub broken up into several zones. 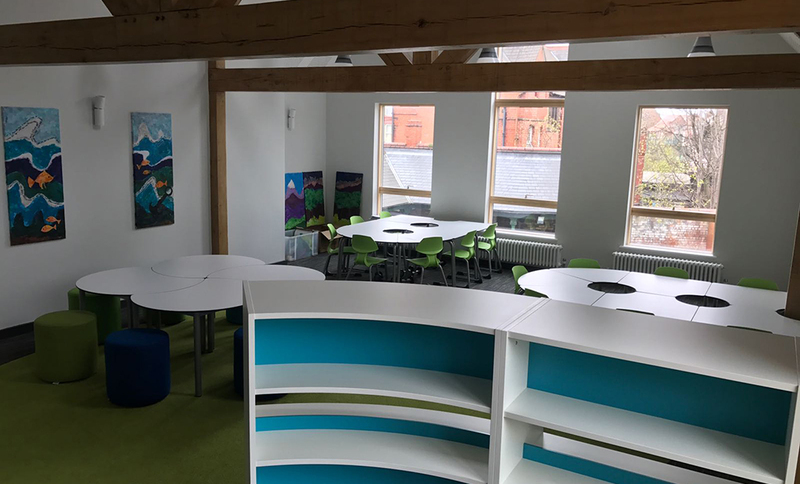 The whole area is very exciting, with IT suite, two smaller classroom style areas, LRC and to top it off, a soft-furnished mezzanine floor overlooking it all. 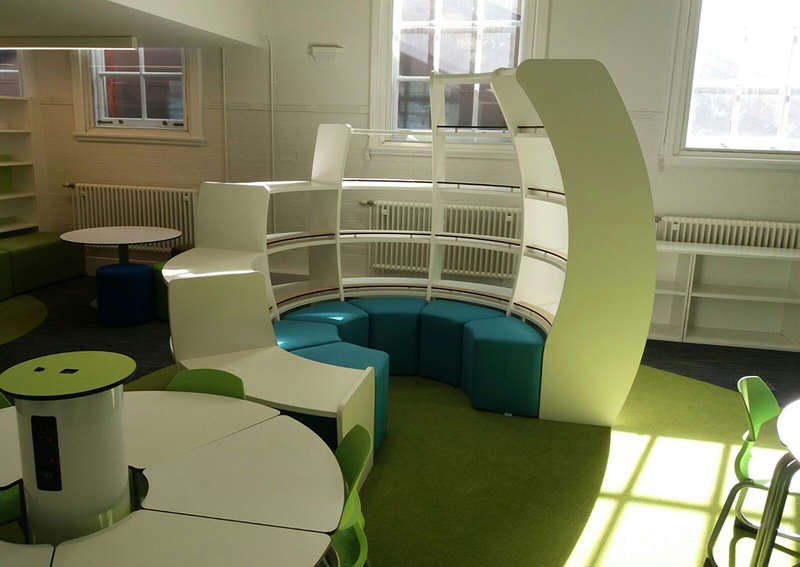 Instead of dividing the space with walls, areas were split using zioxis BookWorm, keeping the area very open but allowing multipurpose uses at the same time. 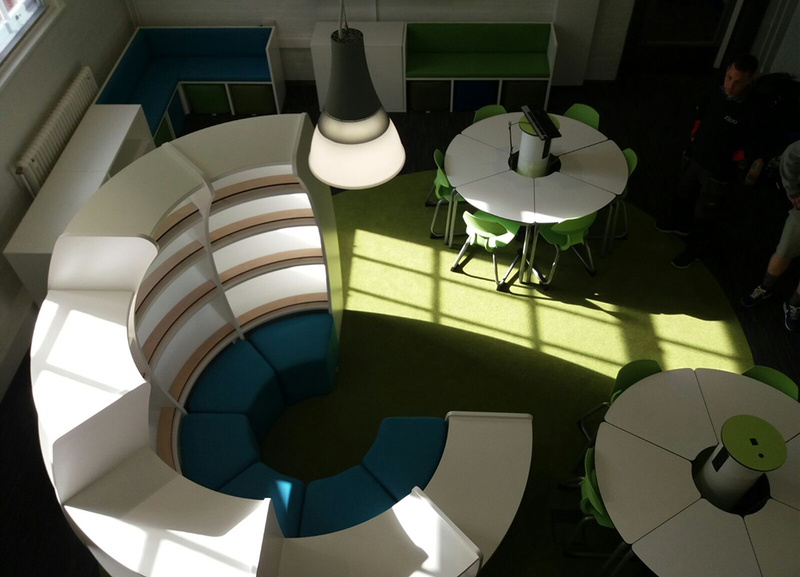 Plenty of storage was provided, with the BookHive, Reading Nook and TeacherWall, as well as options for BYOD charging from zioxis Rechargeable powerHubs and plenty of soft seating for a more informal approach to learning and studying. 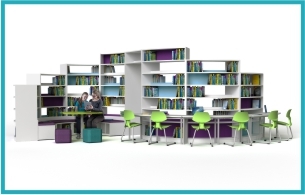 All the furniture added different shapes and a colour scheme that is bright, bold and inspiring. 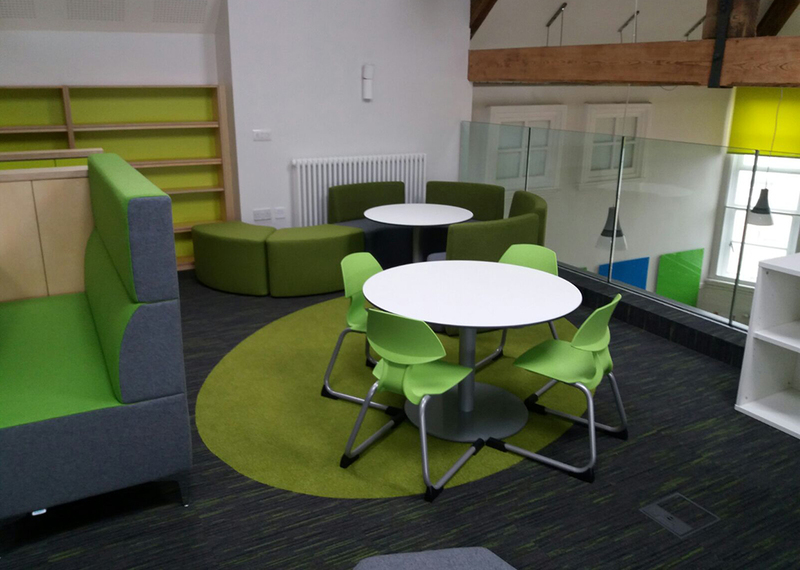 A good mixture of different shades of greens, blues and greys make the whole space warm, welcoming and fun without being distracting.